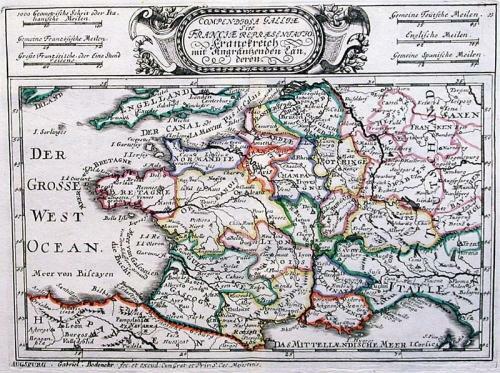 A detailed map of France divided into its various provinces. ajor river systems and towns are shown. The title is enclosed in an elegant cartouche along the top border. Scarce. Fold(s) as given.